Chances are that if you were linked here from another blogger pal, then you might be new. To those first-timers, “Hi, I’m Takuto, welcome to my anime cafe!” For the OWLS blog tour’s twelfth monthly topic for 2018, “Miracles,” I wanted to feature the epitome of anime Christmas films, the one and only KING of uplifting vibes and positivity, Tokyo Godfathers! ‘Tis the season where miracles happen. For December’s theme, we will be exploring faith in anime and pop culture. We will discuss some of the miracles that enter a character’s life during their darkest moments. Some of the questions we will explore: How does a “miracle” change a person’s life? How do we define miracles? Can miracles only happen due to a legend or a mystical being? Or do miracles happen every day, but we just don’t see them? We hope that you enjoy this holiday season! 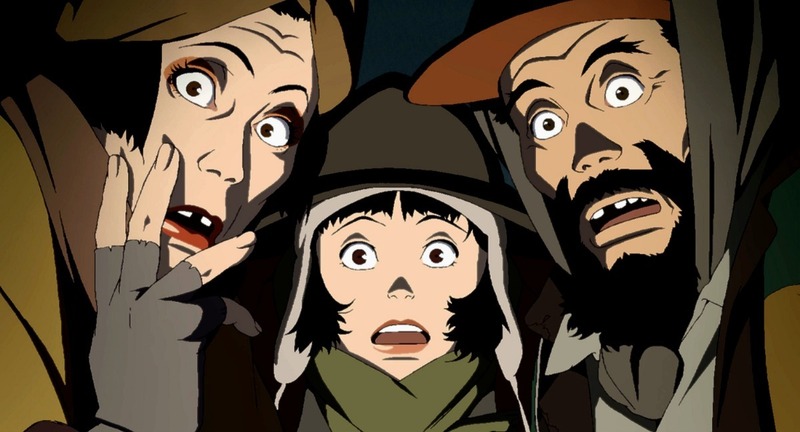 A brief, spoiler-free discussion on the 2003 film “Tokyo Godfathers,” animated by Madhouse, and both directed by and based on the original story by the late Satoshi Kon. Christmas Eve. A glistening white snow has fallen upon Tokyo, and as three homeless friends are rummaging in a dump for a Christmas present, they discover a newborn baby. Despite having nothing to their name, the three take in this pure little girl which they name “Kiyoko.” Knowing they can’t support the child on their own for long, however, they take to the streets in search of Kiyoko’s mother, based on the small amount of info they gathered from her meager belongings. But just as how the night before Christmas is the longest for any young child, these three poor vagabonds become entangled in a wild series of events involving a kidnapping, crime, death, a fight between rival gangs, and a crazy chase throughout the vast city. A transvestite, an alcoholic, and a runaway teenager may make for an unlikely team, but what binds them together in their search for where this baby belongs is their inherent goodwill and incredible heart. By finally raising their heads toward the future, they are also able to confront their pasts, coming just a little bit closer to finding their own place in this wild world—a Christmas miracle in itself. I love Satoshi Kon works, but in some ways I also hate them. His vivid artistry, unique directing style, and powerful storytelling are masterful (and totally iconic). But while he knows how to blow my mind and make me see the world in a whole new way, he also knows exactly how to make me feel weak, shameful, and powerless as a human being. Just as how the film is praised for its soulful story, inventive directing, lively character animation, and holiday cheer, it also, fittingly for Kon, makes the viewer feel pity for the cast and anger towards the socioeconomic imbalance in the world, yet helpless to do anything about it! But maybe there is something we can do—after all, this wouldn’t be a post about the joy of miracles if it ended in in heartache and tragedy. Equally touching as it is prophetic, there are a stunning number of what can only be called “coincidences” that stack up in Tokyo Godfathers. I mean, I can understand running into “the one” person you need to see in the sprawling Tokyo cityscape as a means of plot convenience, but man, talk about being in the right place at the right time! Over the course of the film, our three homeless friends stumble into ordeal after ordeal, yet persist out of the goodness in their hearts—and fate, or more appropriately here, God, assists in their noble endeavor. How does Hana always know the right path to take? How does Miyuki seem to constantly entangle herself in trouble, yet flee at just the right time? And how does Gin manage to stay alive? Simply, it is God who is watching over our homeless friends, and his subtle roles and appearances can be found in the backgrounds. Perhaps he could be keeping tabs on them from on high through a billboard depicting a crying woman; other times, God manifests in more illusionist ways: walls and windows that create faces, figurines with pulsating stares, and angel statues representing guidance. 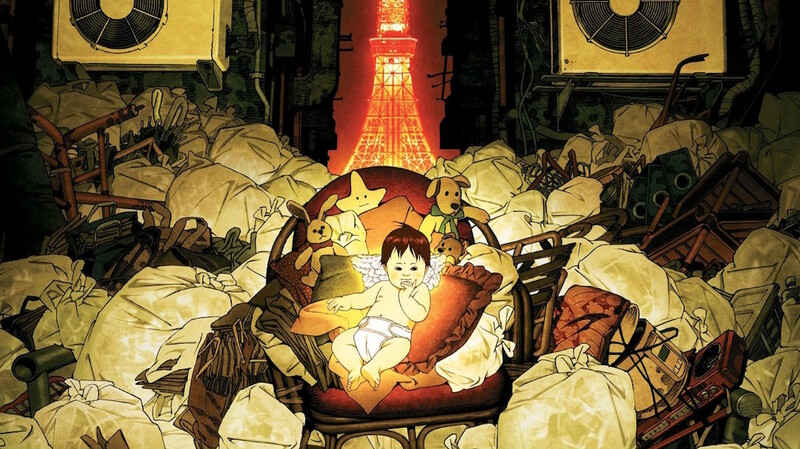 In these mystical, foreshadowing ways that Satoshi Kon has mastered through cinematography, Kon transforms one of the film’s biggest critiques—its over-dependence on an unnaturally high number of plot conveniences—into a powerful, compelling theme: faith and goodwill towards others are rewarded with protection against the unknown. Faith plays a strong role in Tokyo Godfathers. Whether in the opening Christmas Eve church sermon or the biblical motifs scattered throughout the film, Kon makes it clear that those who believe in the good in others are granted love and respect in turn—which is interesting given that Satoshi Kon supposedly wasn’t a religious man. More importantly, kindness isn’t a virtue limited to religion. Kon teaches us that anyone can be kind, and that empathy and altruism can be found in the rarest of places . . .
Ok, so they’re technically not all “men,” seeing as how Hana identifies as a transwoman, but the motif still holds. As the holy scriptures dictate, Gin, Hana, and Miyuki stumble upon a babe in a dumpster, but instead of bringing Kiyoko gifts, our three wise men find her a home. What we eventually find out, however, is that the baby isn’t the only one suffering from displacement. Each in their own way, Gin, Hana, and Miyuki can’t go back to their previous way of life, and that dissolution has led them to be homeless both in the physical and mental sense. But life has a funny way of dealing with such situations. In a tale that is equal parts dramatic as it is comedic, our homeless trio is predestined to find a sense of belonging so long as they confront the shadows of their past and persist through the present, to which they certainly do. As a new fan of the film, I just love these three silly goons!! 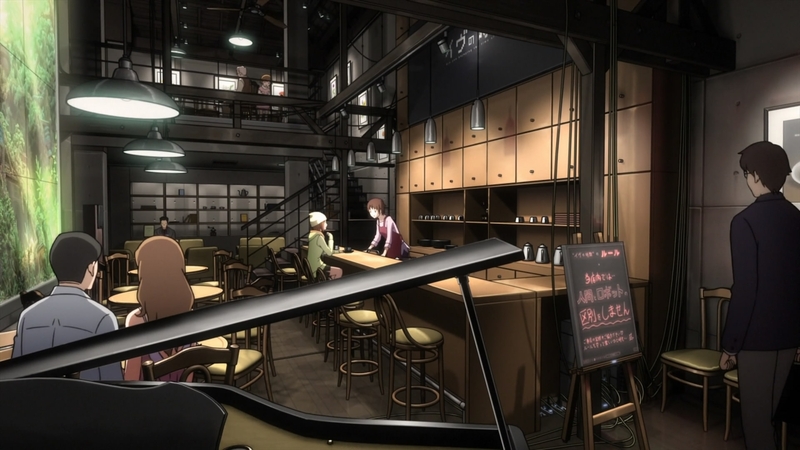 Miyuki’s rebellious teenage side shines in her fiery dialogues with Gin. And as if they needed more reason for conflict, Gin and Hana never cease bickering with one another, much like a married old couple. A drunk, a homo, and a teen girl—who would’ve thought such a cast could be so enjoyable to watch! In all seriousness, I especially adored Hana’s kind, motherly nature. Hana is also highly intuitive, as she’s always able to pick the right direction to take, as well as describe exactly what Kiyoko’s mother would be doing upon finding her. As the situation calls for her to sacrifice more and more, we see how willing, courageous, and caring she truly is despite suffering from (and hiding) her own personal sickness. She draws a tragic relation to the story about the Blue Demon, and knowing full-well that she, too, must eventually go away, Hana’s challenge to care for the baby she’s always wanted likely is her final test to determine her fate in the afterlife. And given that final leap of faith at the end where she literally jumps off a building to save the child—an event which can only be called miraculous—it becomes clear that she definitely passed the test. Bold and brazen, loud and proud, funny as heck and never afraid to stick out her neck for the ones she loves most, Hana is a gift to us all. 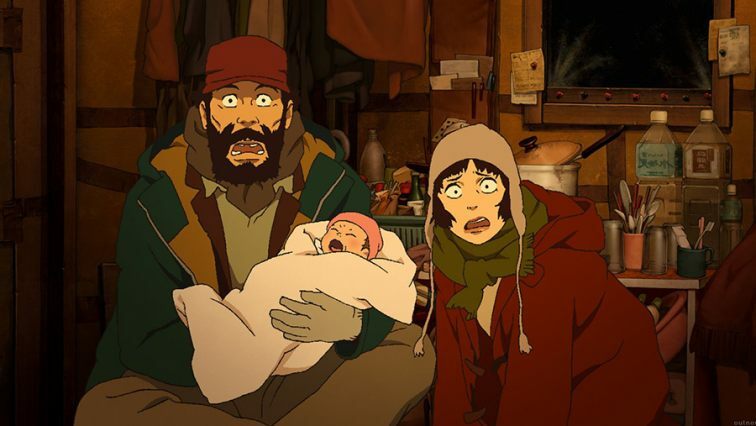 As the old aphorism goes, “In the end, we only regret the chances we didn’t take,” and if there’s anything to be learned from Tokyo Godfathers, it’s that the good and bad in life comes and goes, but we always have the opportunity to be kind to others. As Gin comes to terms with his gambling and alcohol addictions, he takes ownership of the actions in his life and becomes determined to not mess up the second chance he’s been given with his daughter. For Miyuki, she accepts the terrible things she did to her father tries to seek him out to apologize and mend their bond. Hana is finally granted the opportunity to be a mother—to care for a child, to love it, and to provide warmth for it in the harsh winter cold. And lastly, a mother learns what it’s like to lose her child—to lose everything that mattered to her—as well as what it feels like to miraculously get it back. With justice and dignity intertwined with love and hope on this eventful Christmas Eve, Satoshi Kon performs Christmas miracles and delivers a story to stand the test of time—an invaluable lesson on what it truly means to be human in this wild, wild world. 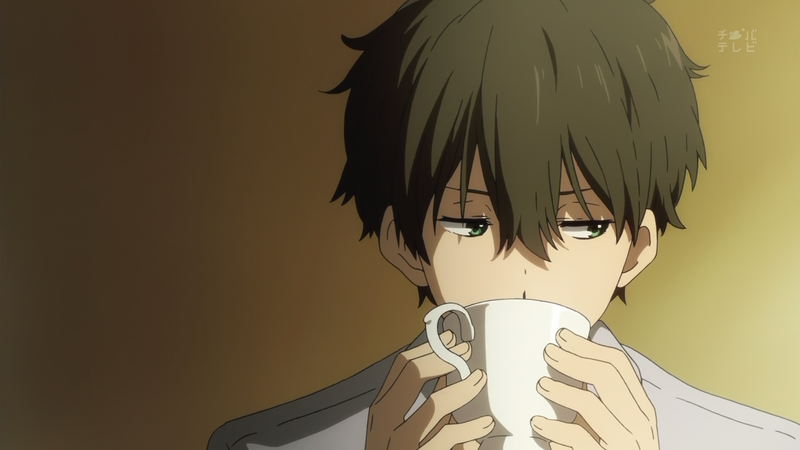 To be honest with you all, I’d never actually watched Tokyo Godfathers until just the other day. Don’t get me wrong, I’ve definitely been wanting to watch it for a long time now, but if it weren’t for this post, I likely wouldn’t have seen it as early as I did—and I’m sure glad I spent that cold wintry day on my bed eating a bowl of hot soup and watching such a heartwarming movie. 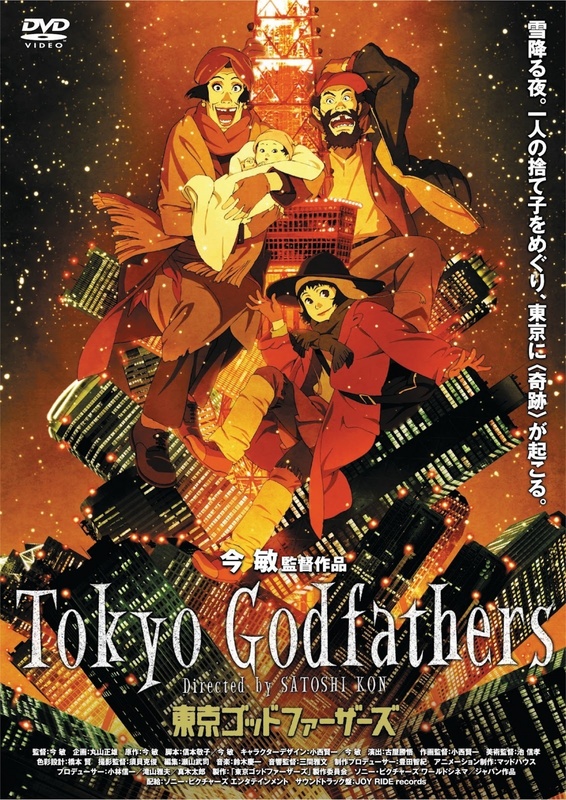 Guys, Tokyo Godfathers is fantastic, a “Caffe Mocha” classic for sure and the perfect family friendly anime film if you’re willing to share the holy word. This isn’t an overly complex film by any means—it’s about simple emotions, a simple act of kindness, and how even the smallest of efforts can snowball and impact the lives of others. Spend this holiday season with someone you love. Do something nice for someone else, even if you get something out of it, too. I encourage you all to dig deep within yourself—as this film has done for me—and go out there and make a difference in someone else’s life. As I always like to forward on, we only get one of these things, one life, so be sure to take all the chances you can get. And be kind to others—a simple conviction to kindness will surround you with good company and food aplenty, that I can assure you! Really sounds like an amazing film. It’s so very sweet, so uplifting and full of heart. I’m sure you’ll love it!